Complex says: The stunning QVGA display produces a vibrant 240x400-pixel resolution and is one of the most responsive touchscreens of any non-smart phone available. Its basic interface offers Easy and Advanced modes to help amateurs and pros get into the swing of things. 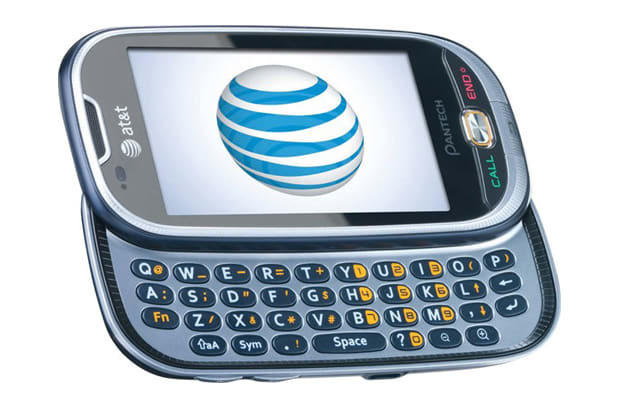 Pantech’s noise suppression technology helps deliver solid call quality on a 3G network, plus users can access AT&T’s Address Book and backup their contacts on the network’s servers. Here’s a great backup plan for when your smartphone kicks the bucket.